DISCLAIMER: HENRY AND I ARE MONTHLY REVIEWERS FOR POOCH PERKS AND RECEIVE A PAMPERED POOCH BOX IN EXCHANGE FOR OUR HONEST POOCH PERKS REVIEW. WE ARE ALSO AFFILIATES AND EARN A SMALL COMMISSION IF YOU MAKE A PURCHASE THROUGH ONE OF OUR LINKS. WE LOVE POOCH PERKS AND ONLY SAY WHAT WE REALLY FEEL! It’s November, which means turkey, pumpkin pie, sweet potatoes with marshmallows on top, and giving thanks. It also means another Pooch Perks unboxing! When I first looked at this month’s box, I was confused – usually the box is so well curated that you can immediately discern the theme at first glance. Once I read the enclosed information card, however, I realized that this box was perfectly curated. 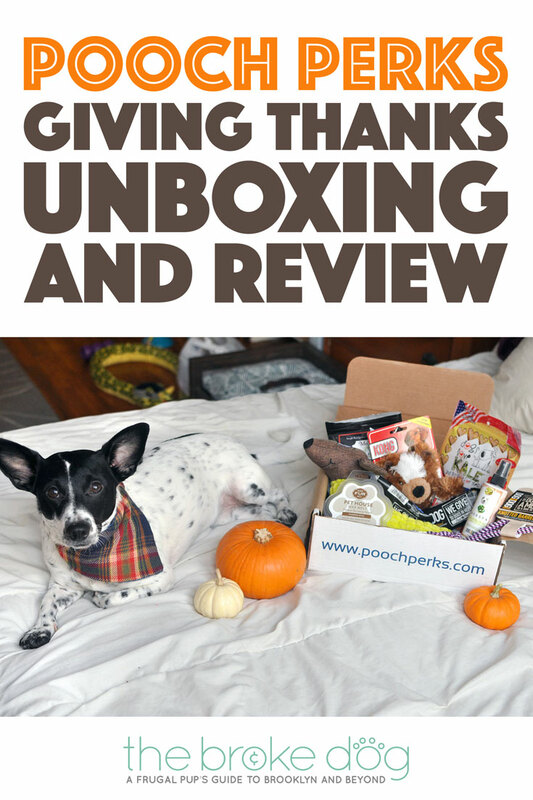 Pooch Perks has decided to “give thanks” this November by highlighting products from companies that give back to dogs in need. What a wonderful way to celebrate the season! Keep reading to see what we received and save 10% off your own box with code BROKEDOGBLOG. We’ve had Dogs Love Kale treats in the past, and Henry has loved them, but these are extra special. Proceeds from this specific item are donated to Brooke’s Legacy Animal Rescue, an organization founded to honor a young woman involved in a fatal car crash. I think that Henry will love the Apple Crisp flavor, and I’m honored to support such a bittersweet cause. One Fur All has made it their mission to support non-profit, no-kill rescue groups across the USA. They sell candles, wax melts, and car fresheners — all things I can get behind! This paw-shaped wax melt is absolutely adorable and smells delicious. I don’t have a wax warmer, but I can buy one – OR can melt it down to make the most delicious smelling candles ever! I love making and the smell from burning them, so I’m very excited about this item. If you’ve read my “About The Broke Dog + Henry’s Story” page, you’ll know that I LOVE dachshunds! This dachshund isn’t just adorable, though: it benefits the ASPCA! This non-profit organization works to present animal cruelty, and they launched a plush toy line in 2014. It’s adorable! Another great Dog For Dog product! 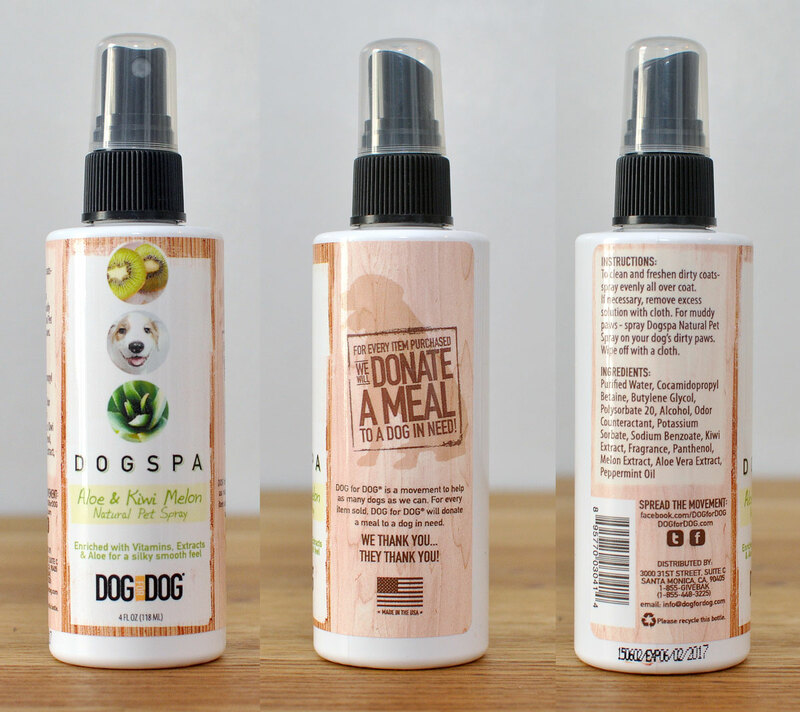 For each bottle sold, Dog For Dog donates a meal to a dog in need. Knowing that your will smell good on Thanksgiving AND you’ll be helping a dog in need? Awesome! 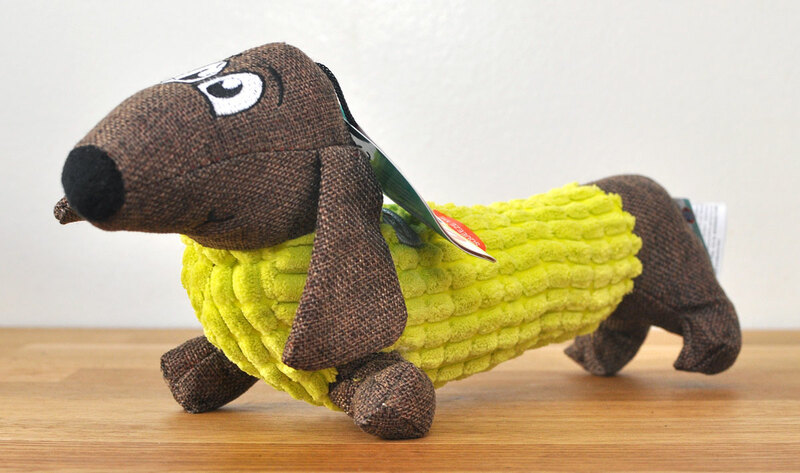 This rope toy is well-made, sturdy, not too heavy, and perfect for tug or fetch. Henry isn’t much of a tugger, but I know he’ll enjoy chasing it across the apartment. Plus, it’s another Dog For Dog product, so you know it’s supporting a great cause! 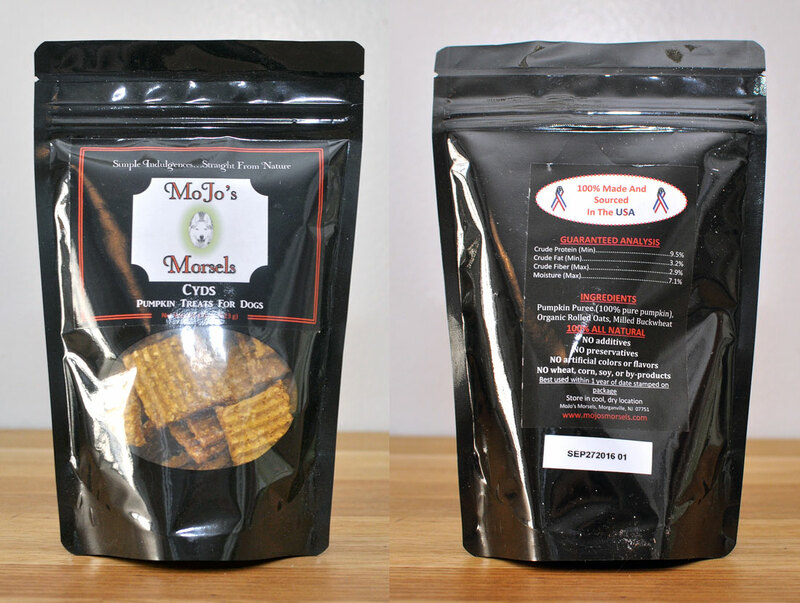 Mojo’s Morsels founded Mojo’s to the Rescue in 2015 to give back to the rescue community. Henry loves these treats! They’re crunchy, pumpkin-flavored and made from simple ingredients. I’m going to keep these around on Thanksgiving to bribe Henry to stay out of the kitchen! We are already big Kong fans in this house, but we didn’t know that Kong has donated treats and toys for charitable causes since 1976. Thumbs up! 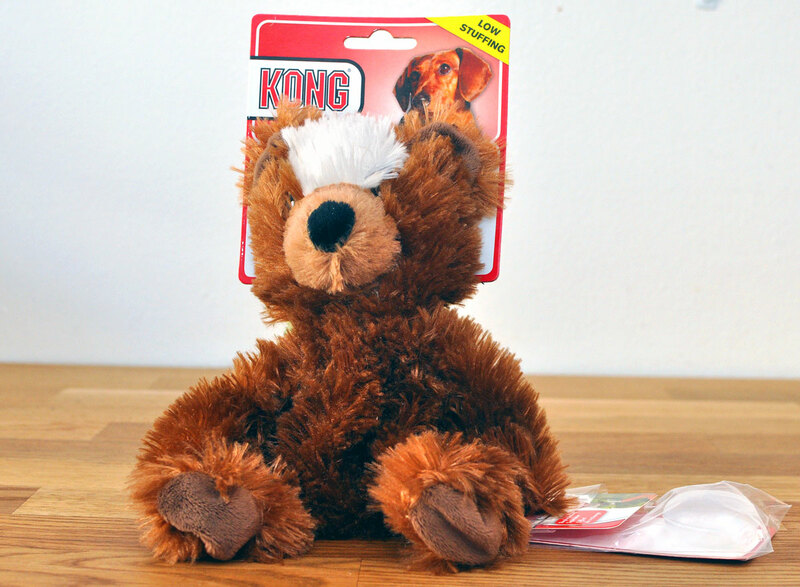 This stuffing-free bear will be perfect for tossing and squeaking —Henry’s favorite activities — and even comes with an extra squeaker in case he plays with a little too much zest. For every product Dog For Dog sells, they donate one to a dog in need. Talk about a mission dog lovers can get behind! These bars are made with all natural blueberries, flaxseed, and peanut butter, and would be perfect for hikes or road trips (or, in Henry’s case, long subway rides). Yum! If you’re looking to make a difference this holiday season, consider purchasing products from these companies when choosing gifts for loved ones. Not only will you be buying a quality product, you’ll be helping pups who might not be celebrating the season in a cozy home. 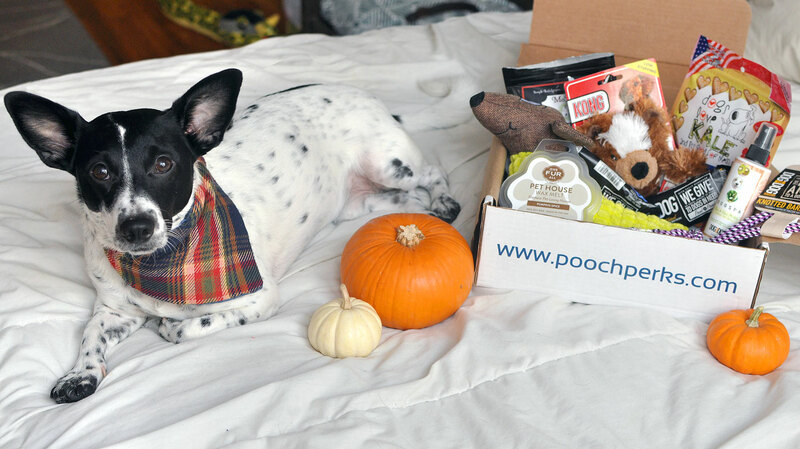 A big thumbs up to Pooch Perks for spotlighting these companies! i have checked out many of the prescription boxes and even tried a few. this box looks better than the others i have seen. thank you.